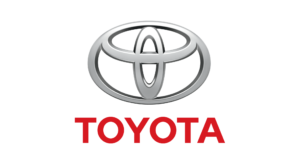 Your Toyota motor vehicle will be serviced and / or repaired by our highly skilled, ethical and experienced motor mechanics, where individual care and attention is never compromised. When choosing Randburg Auto Repairs for your repair needs, no work is carried out without your prior consent or knowledge. Top quality replacement parts and lubricants are used by Randburg Auto Repairs when servicing / repairing your Toyota whether it is for a lube service or a complete engine or cylinder head reconditioning. In addition to the service on your vehicle, Randburg Auto Repairs offers you a free of charge, 38 point safety critical report back. All our workmanship and parts carry the Randburg Auto Repairs 6 month or 10,000 kilometer warranty (TCs Apply).